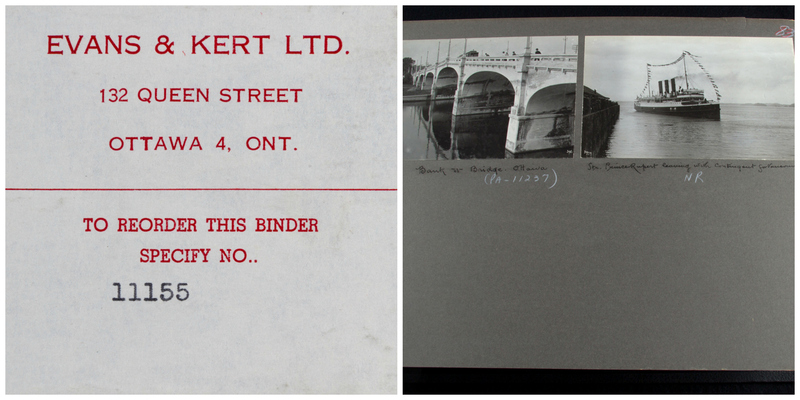 Photo Album 47: Record of a real and a constructed journey to western Canada: a mystery! In the previous posts, Sir Arthur Conan Doyle Tour of Western Canada, June 1914 and Visit to Jasper National Park, we followed on Sir Arthur Conan Doyle’s trail as he travelled through Canada in 1914. The images of the trip came from a large album of photographic prints put together by William Topley capturing the author’s travels—supposedly. Upon doing further research, there are some curiosities with the way the album has been presented. The photo album (see pages from the album below) appears to be not only a record of the Conan Doyle tour of 1914, but also a constructed record of a journey that an immigrant or tourist would take on the Grand Trunk Pacific Railway. 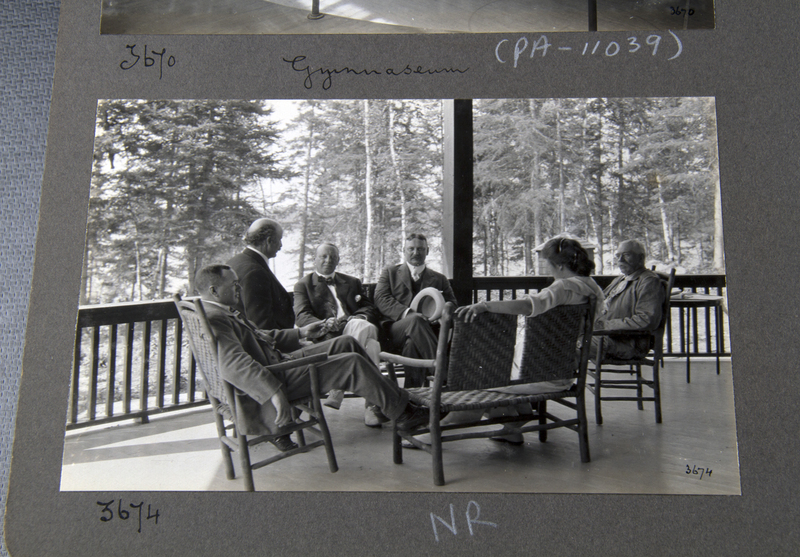 The Conan Doyle party sitting on a veranda. Sir Arthur Conan Doyle is on the far right. 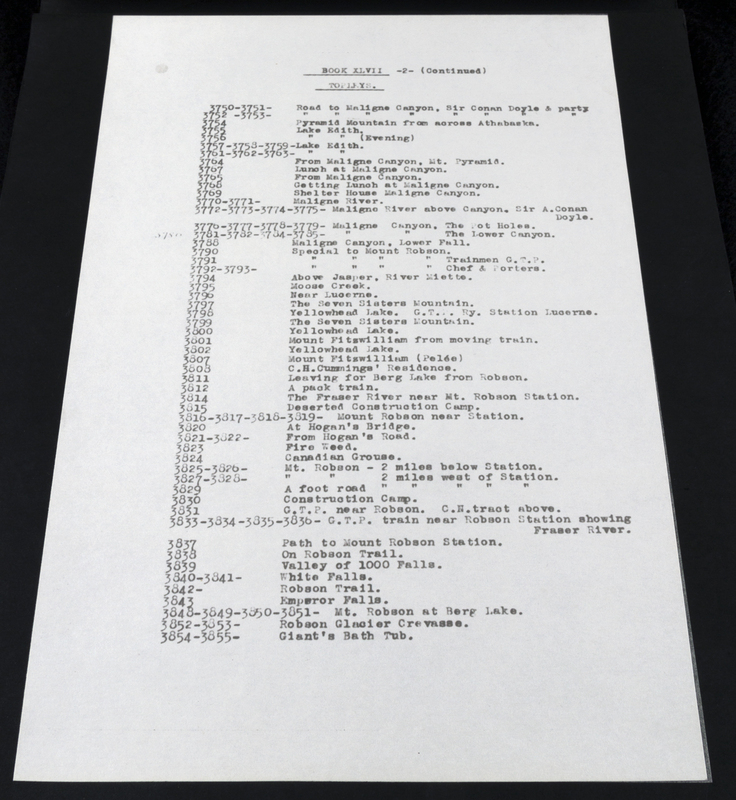 First, the original nitrate and glass plate negatives are located in the Topley fonds rather than the Department of the Interior, which employed the photographer for the Conan Doyle tour. 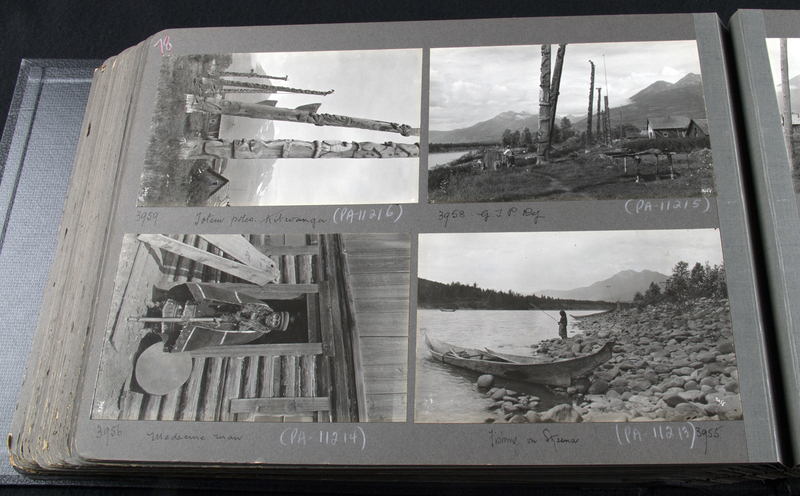 Second, the photo album resides within the Department of the Interior’s fonds in a series entitled, Immigration Branch — Photographic Albums of Canadian Settlement. The MIKAN record notes that the albums in this series contain photographs taken by two photographers, John Woodruff and Horatio Topley, working for the William Topley Studio. However, the photographs in the Sir Arthur Conan Doyle album are clearly identified as having been taken by William Topley, rather than his brother, who died in 1910. Third, while the MIKAN record—Sir Arthur Conan Doyle Tour—suggests that the entire album is of Conan Doyle’s tour, a close inspection of the physical album reveals that only a portion of the photographs are from the tour! The last part of the album has photos of places along the remainder of the Grand Trunk Pacific Railway route from Jasper, Alberta through central northern British Columbia to Prince Rupert on the Pacific coast—places which Conan Doyle did not visit as he returned east after his stay in Jasper National Park. The finding aid at the beginning of the Sir Arthur Conan Doyle photo album from the Immigration Branch listing the photographs contained in the album. Topley was quite probably employed by Department of the Interior to record these trips as he had a number of prominent assignments with the Department in the first two decades of the 20th century. In 1917, the Department of the Interior published the book, Description of and Guide to Jasper Park, which includes several of Topley’s photos from his 1914 trip with Conan Doyle and one photo of his 1915 trip. 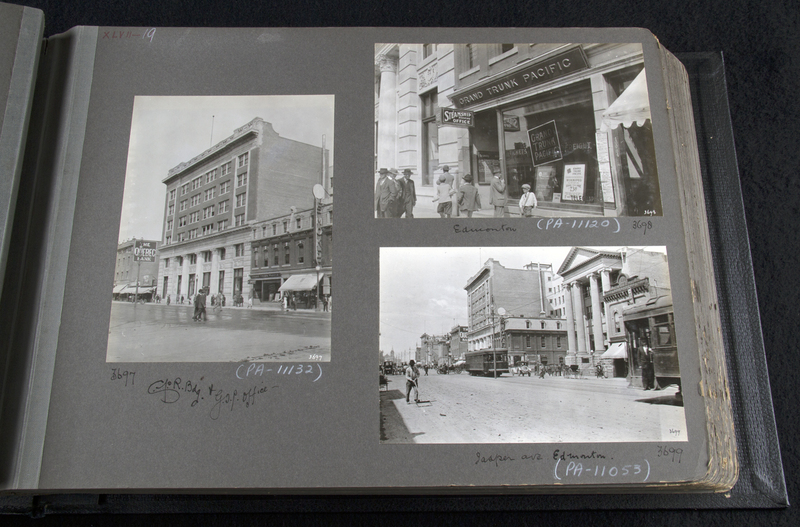 A page taken from the album showing photographs of the city of Edmonton. 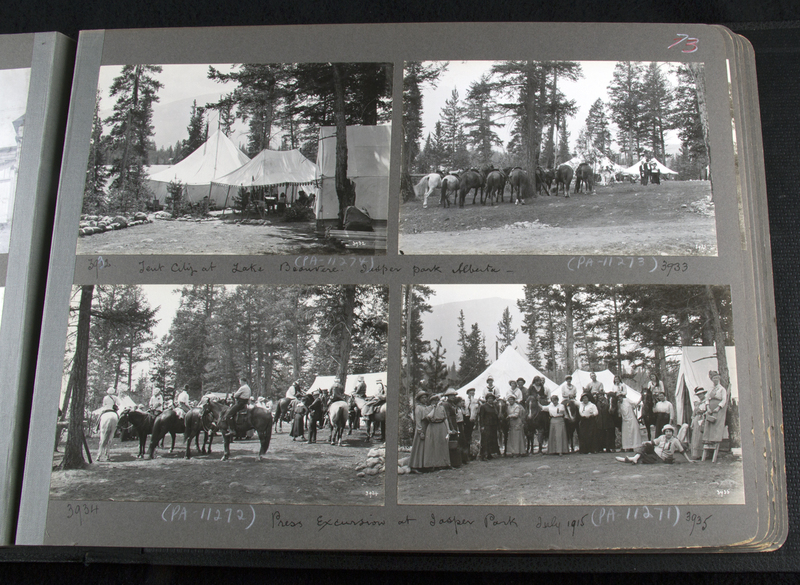 A page from the album showing photographs taken of a press excursion at Jasper Park that are clearly labelled 1915. The album showing locations in British Columbia that Conan Doyle did not go to during this trip. First and last pages of the album. The last photograph shows a steamer heading towards Vancouver. However the Conan Doyle party never made it past Mount Robson. Whether the Department of the Interior album was intended for public viewing or not, one thing is certain—Topley’s western excursions were addictive. The photographer was drawn to the grand western landscapes. Retired Library and Archives Canada photo archivist and Topley expert Andrew Rodger writes in the Dictionary of Canadian Biography: “Topley and his wife, who died in 1927, spent much of their last years in Edmonton with their daughter, Helena Sarah, and son-in-law, Robert C.W. Lett, an employee of the Grand Trunk Pacific Railway. The latter was probably influential in the naming of the town of Topley, a community on the rail line in northern British Columbia. William Topley died in Vancouver in 1930. This entry was posted in Our Collection and Facilities, Photography and tagged railway, Sherlock Holmes, Sir Arthur Conan Doyle, travel, William Topley by Library and Archives Canada Blog. Bookmark the permalink.